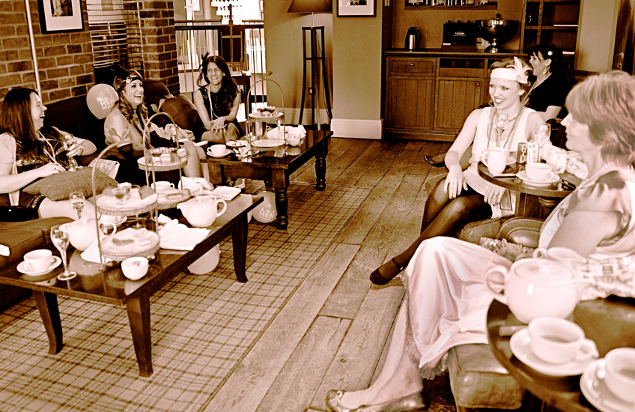 The ultimate luxury vintage hen party! The Queen of vintage birthday parties! 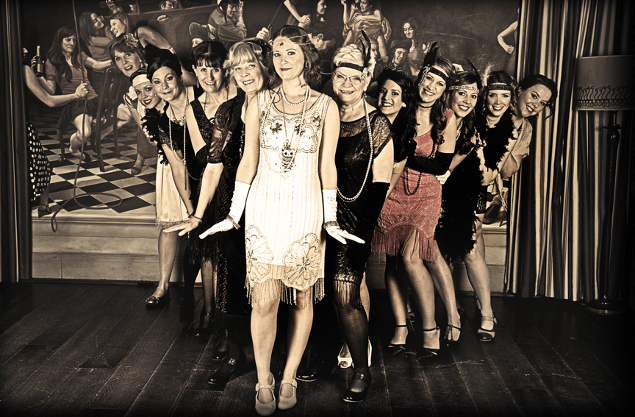 The perfect 1920s or flapper day out. Not a jazz age girl? Then be a glamorous society lady from the 1940s or 50s. 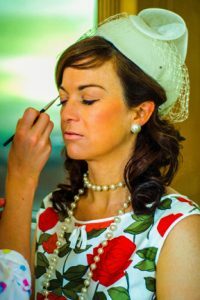 Our favourite vintage venue in Cheltenham is certain to transport you to your favourite era, and you’re sure to feel the part. These days are also popular for company teambuilding or reward days, and Christmas party groups, men and women can enjoy these activities. 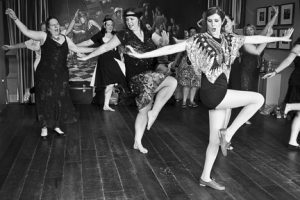 Feel the part and have your Charleston dance class in a gorgeous Georgian Room with a wine glass chandelier, a surprisingly saucy mural, and an ornate mantelpiece. Retire for afternoon tea in a lovely informal lounge area. 1920s not your style? 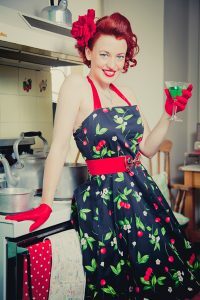 Have a 1940s swing dance or 1950s rock and roll dance, or Vintage musicals dance class instead, or a singing hen party -sing like a vintage girl group, or have our vintage musicals singing session. Choose any dance class, Charleston, 1940s, 1950s or vintage musicals dance class. Then have a lovely three course dinner in a private room or in the bistro. Relax and be pampered having hair and make up in the beautiful Georgian room while you enjoy your afternoon tea around a big table. Or choose more informal seating instead. 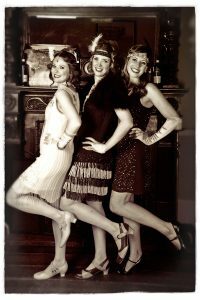 Choose from 1920s, 1930s, 1940s, 1950s. Other eras on request. 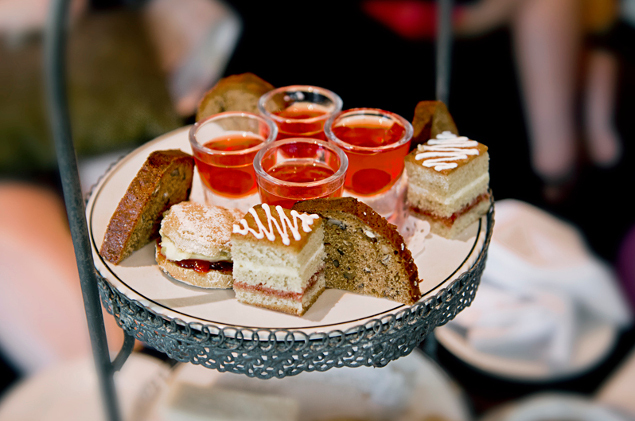 Enjoy your delicious afternoon tea in a private room, with Auntie Maude in attendance. She will drill you in correct tea drinking, correct laughing, walking and sitting, and the dos and don’t of correct married life. She’ll have you laughing and crying all at once. She may even give you a little dance taster session in the era of your choice too. In the politest way, of course. 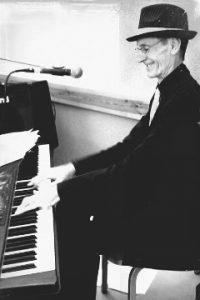 Have afternoon tea or dinner with a wonderful piano player providing the most wonderful background music from the 20s, 30s, 40s and 50s. Have any combination of the activities above and we’ll put together an itinerary for you and help put together your perfect day. You can even add a cocktail making class, provided by the hotel.